As an online retailer, international expansion opens a vast market for your products. However, many new international sellers don’t realize U.S. export law has some very specific requirements, and the consequences for non-compliance can be serious—including large fines and even jail time. As a trusted international brand, DHL eCommerce has robust systems in place to catch and stop illegal exports before problems arise. If you’re not sure if you’re in compliance, you’re probably not. Call us—we can help. 1. Do I need an export license? Certain commodities require an export license, such as controlled products (e.g., weapons, steroids, etc.) or goods exceeding $2,500 USD in value. 2. Am I shipping to a person I shouldn’t? The U.S. government maintains a Denied Persons List, which includes individuals and organizations that have been denied export privileges such as drug traffickers, money launderers and terrorists. Any transactions with people or groups on this list that would violate the terms of the denial order are prohibited. If a company, entity or person on the Denied Persons List appears to match a party potentially involved in your export transaction, additional due diligence on your end should be conducted before proceeding. 3. Am I shipping somewhere I’m not allowed to? There are some restricted destinations, with the most restricted being the embargoed countries and those designated by the Department of State as state sponsors of terrorism including Iran, North Korea, (North) Sudan, and Syria. Ultimately, it is your duty as the exporter to comply with the law—but DHL eCommerce has your back. Our dynamic regulatory scanning systems add an extra layer of protection to keep you from violating any of the guidelines described above. It’s not worth the risk. If you are selling online internationally and aren’t sure if you are in compliance with export law, call DHL eCommerce to help get you on the right path. 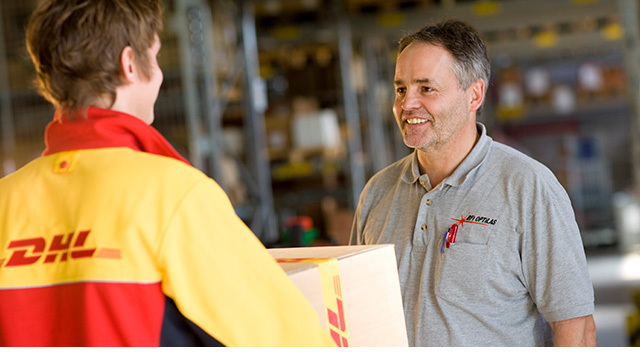 Visit us at dhl-usa.com/ecommerce or call 1-800-805-9306.